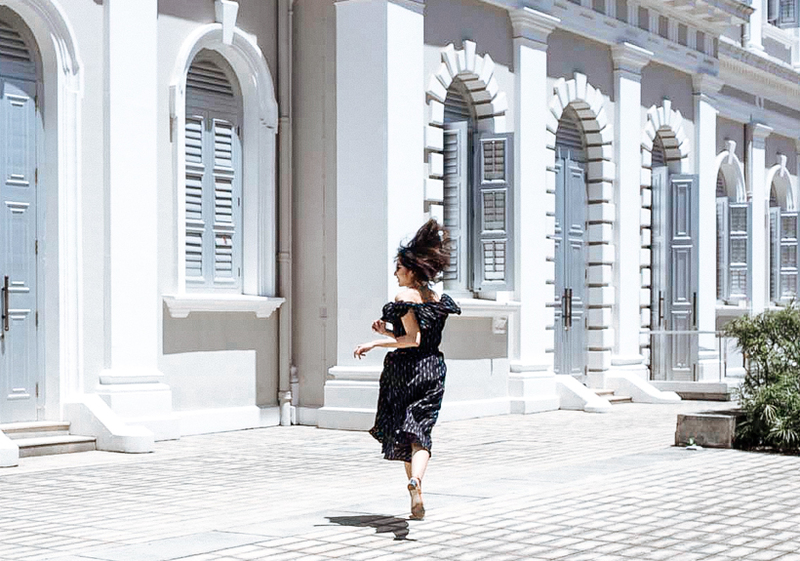 It's that time of the year again where it gets unbearably hot in Singapore. Usually people complain that the weather is the one that deters people from dressing up, but I beg to differ. Summer is the time when you can get to show more skin and be creative in what you wear! Hemlines get shorter and shoulders get bared. 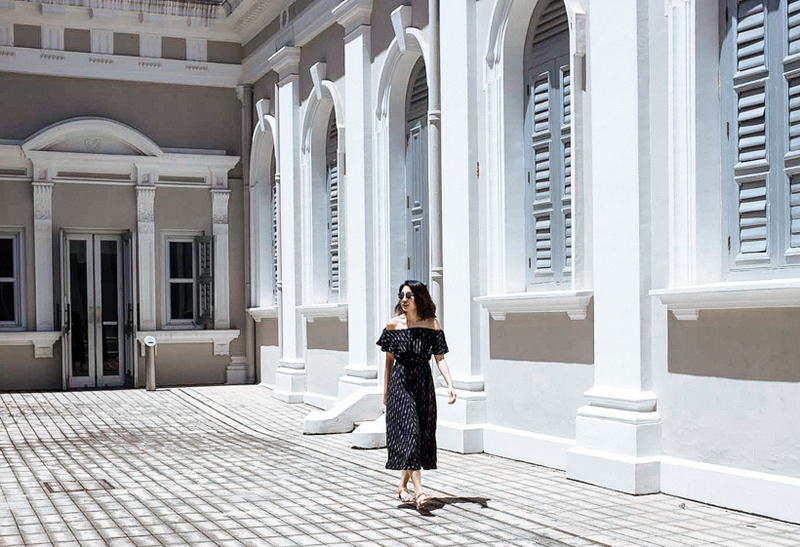 This off-shoulder dress from Toki Choi perfectly fits the summer theme - it's lightweight and offers style while not compromising on comfort. Dress down with some leather sandals and a straw fedora hat, or dress up with some heels for the night. Wearing blue kimono top from Toki Choi, blue denim shorts and leather sandals from Zalora. Second tip I would give is a summer shirt or cami + simple shorts/mini skirt combination - it never fails. 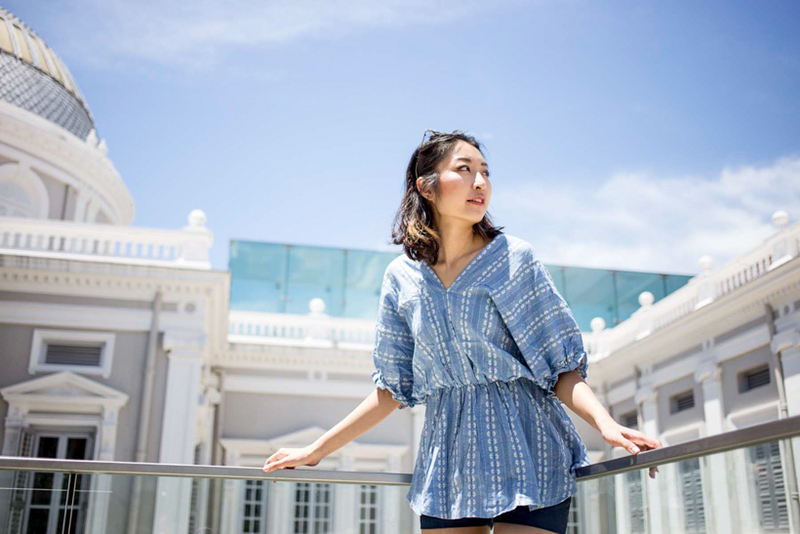 This blue kimono top is great for summer since it's loose-fitting - Usually I try to go for loose-fitting sleeved tops or just silk camis or 100% cottons. 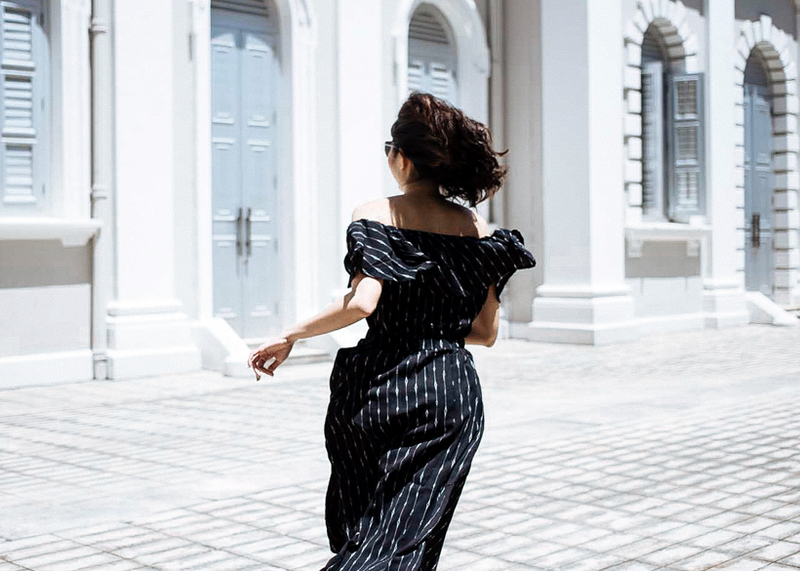 Fabric is actually really important in ensuring that your skin breathes - try to go for pure threads instead of polyester blends as that will only trap the heat more. 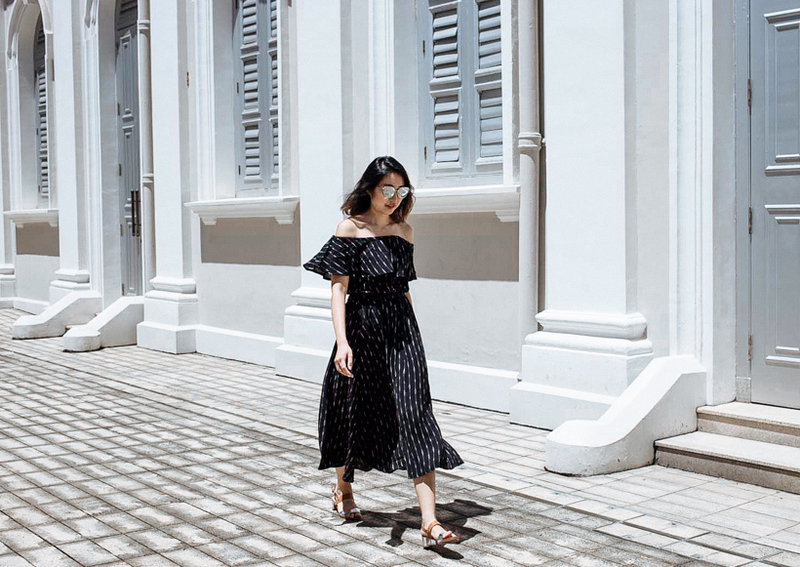 Hope these tips helps you in picking out your next outfit for blazing hot weather! 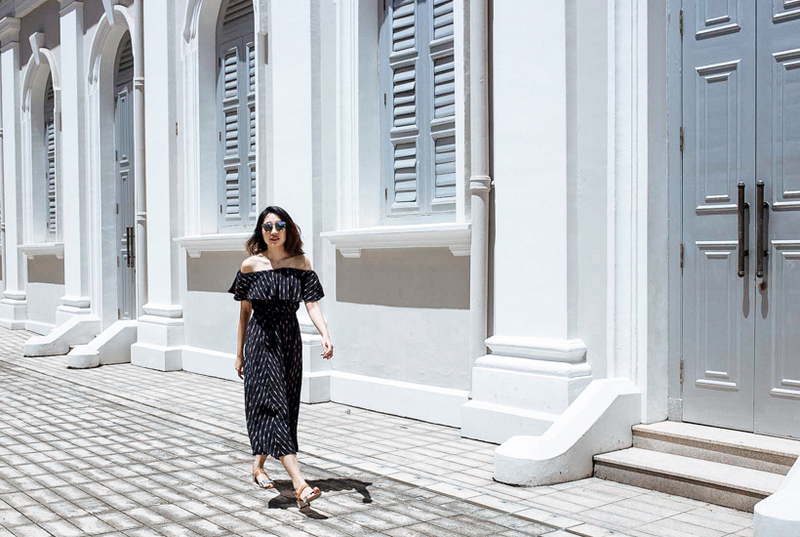 You can shop the above outfits at Q10 or Zalora. Post sponsored by Toki Choi. Not all video games are just for entertainment; some can also help you to learn a new skill. Whenever you buy games for your child, you should only buy these type of games. Don't buy the ones with tons of violence and other inappropriate content. There are many review sites online that can help you choose appropriate game titles for children of every age.